Yesterland: The Power of Blast! Welcome to the fake front doors of the 2,000-seat Hyperion Theater. The real entrances are around the side. 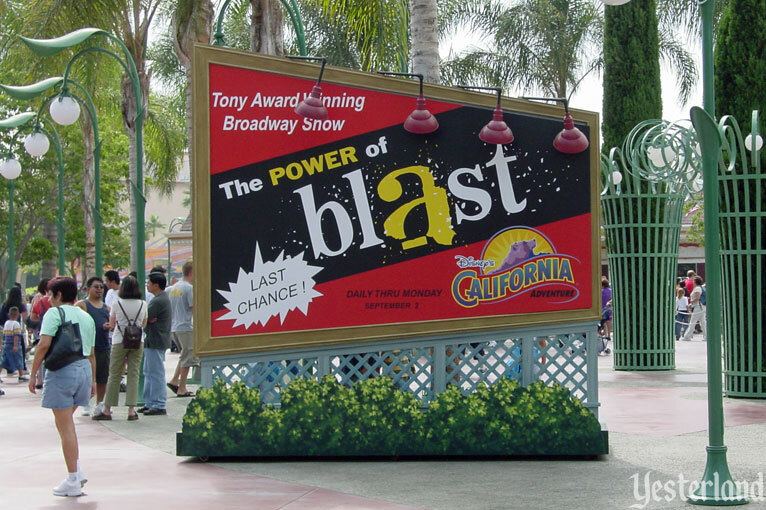 Take a seat for The Power of Blast!—an abbreviated version of the high-energy Broadway show Blast! Don’t expect an ordinary concert. These aren’t musicians who sit in chairs staring at their music stands. 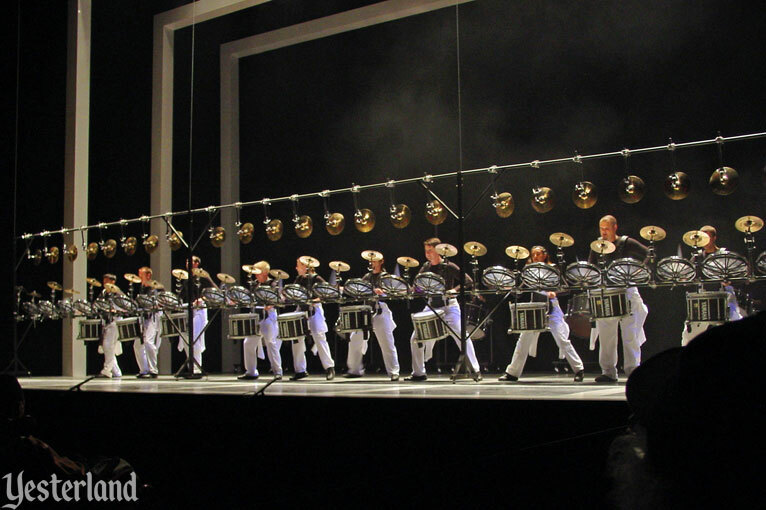 This is a highly choreographed extravaganza, with 40 highly skilled performers. 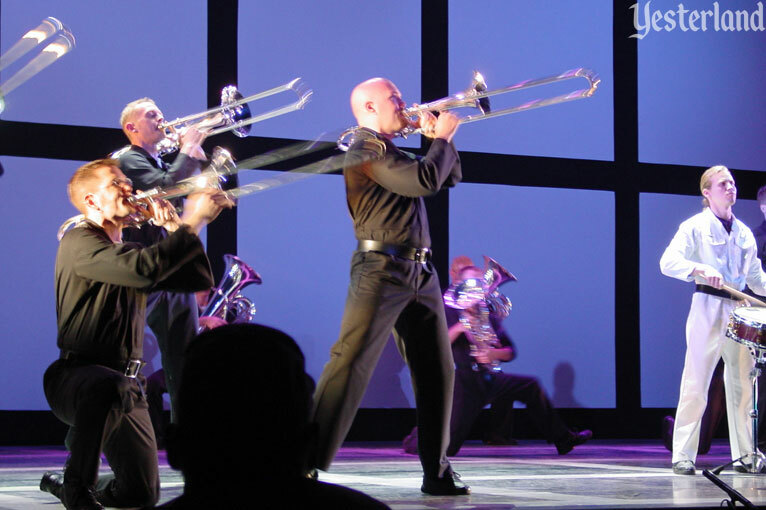 Trumpets and trombones blare. Sabers fly above the stage. Banners swirl in the air. 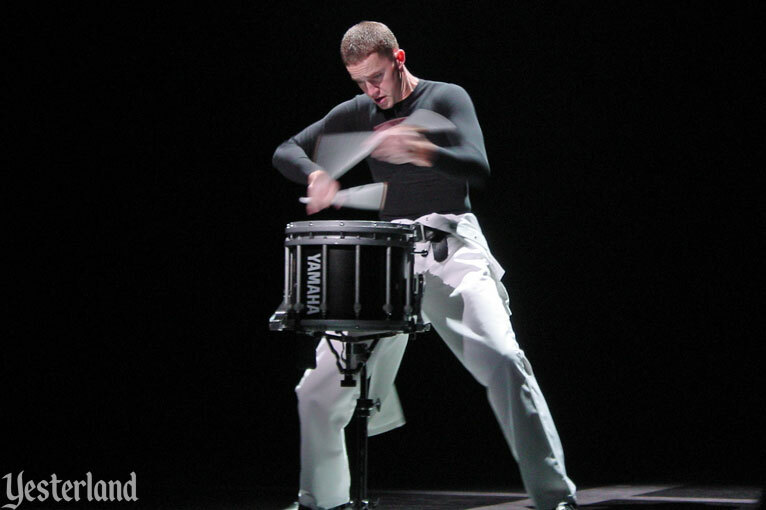 Drumbeats radiate energy throughout the theater. The Power of Blast! 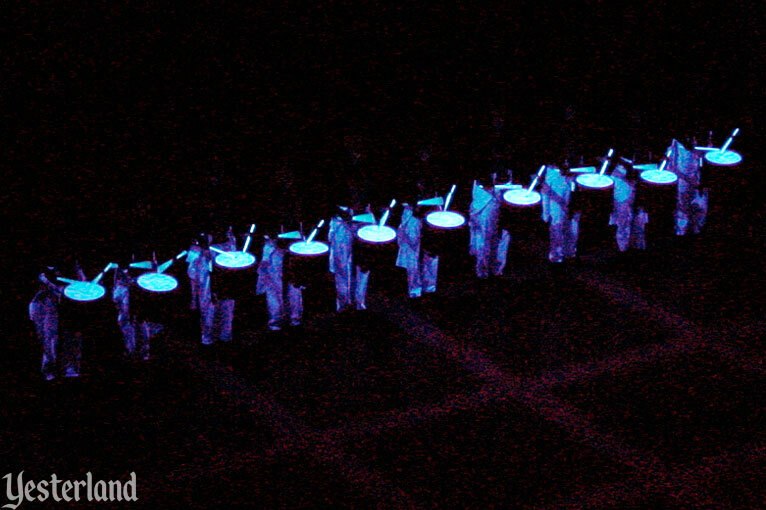 is based on the tradition of drum and bugle corps pageantry—but this is not a traditional drum and bugle corps pageant. 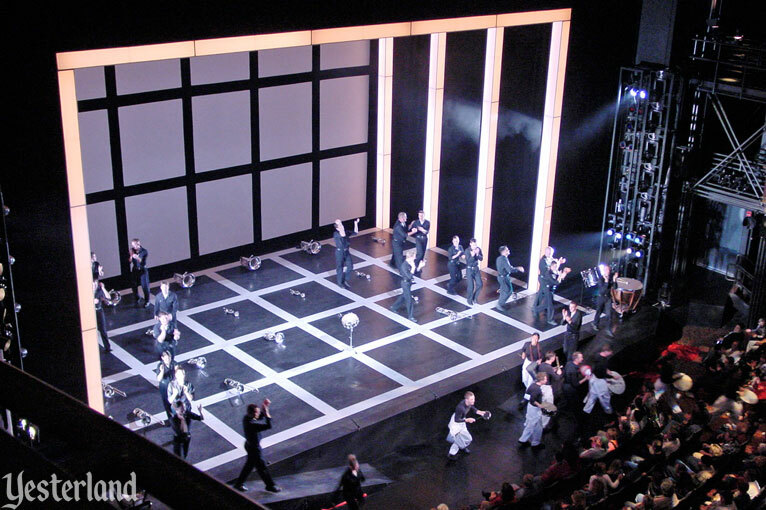 The deceptively simple stage takes on different looks and colors throughout the show. 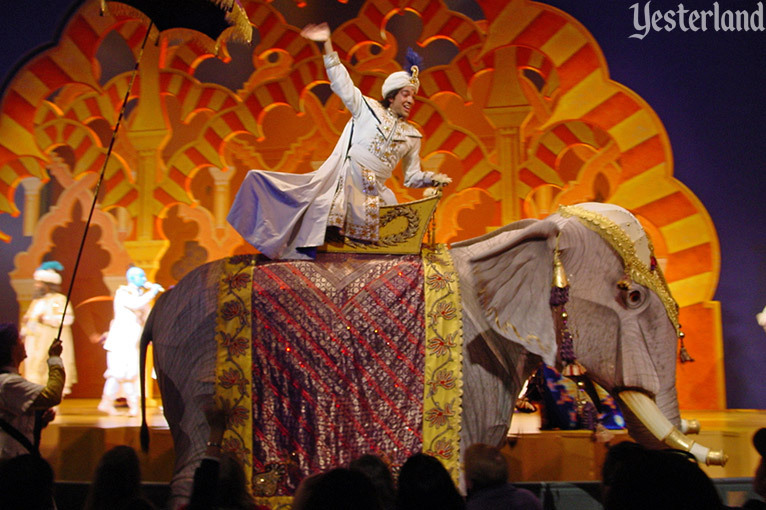 The staging of Land of Make Believe is colorful and eye-catching. The rousing finale, with swirling and flying flags, is Lecuona’s Malagueña. 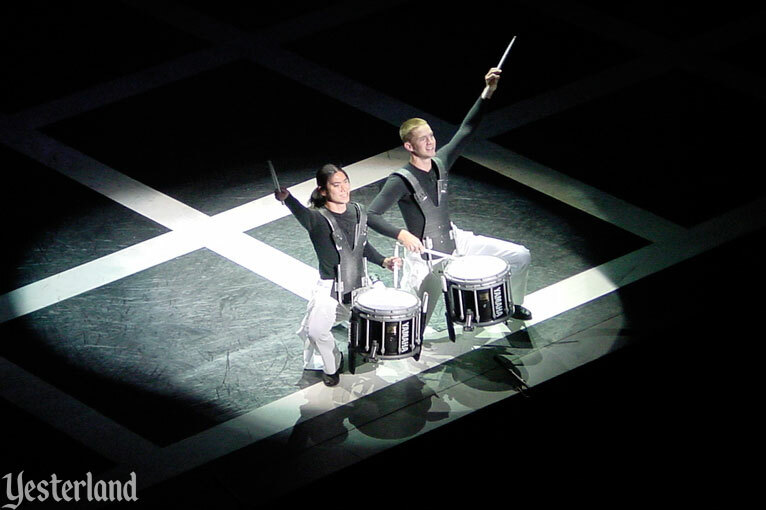 At the end, the performers spill into the audience. 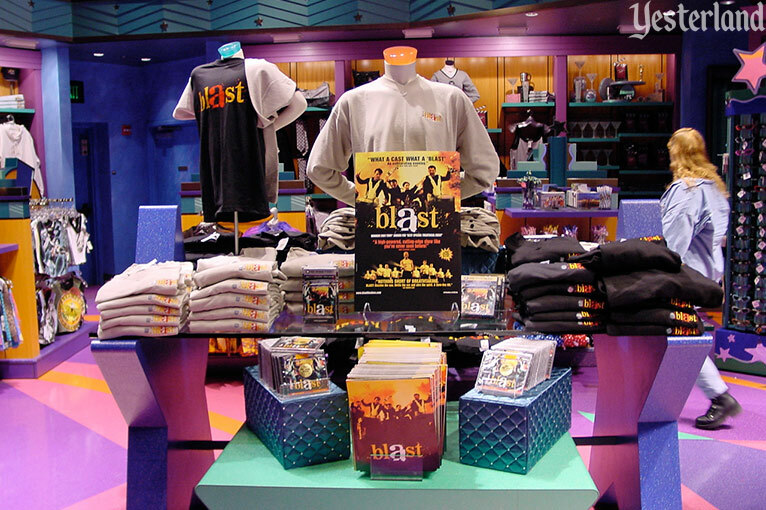 Don’t forget to buy some Blast merchandise so you can remember the show in the future. After all, theme park shows don’t run forever. The Power of Blast! 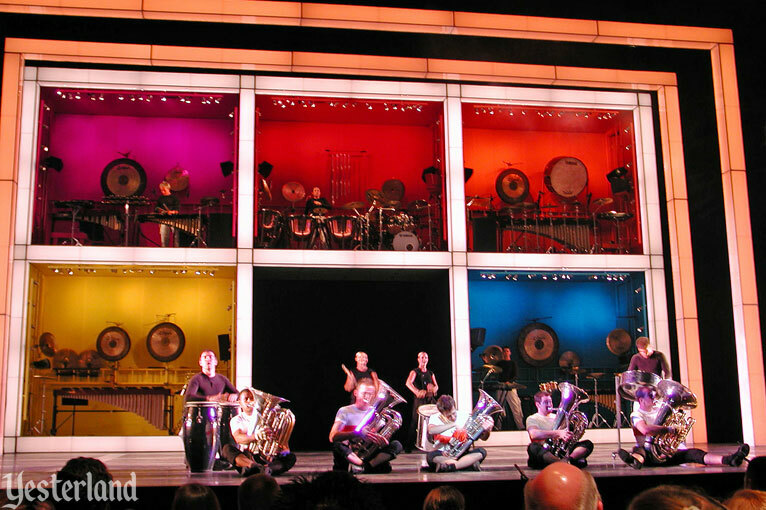 was presented at the Hyperion Theater at Disney’s California Adventure from November 22, 2001, through September 2, 2002. When Disney’s California Adventure opened on February 8, 2001, the official opening show at the Hyperion Theater was a song-and-dance musical, Steps in Time. Even before the park’s grand opening, the reaction from preview audiences was so negative that Disney executives quickly approved funds to rework the show. Unfortunately, the reworked show still failed to impress audiences, despite (or perhaps because of) the addition of a storyline involving a weird, mini-skirted Fairy Godmother and two little boys. 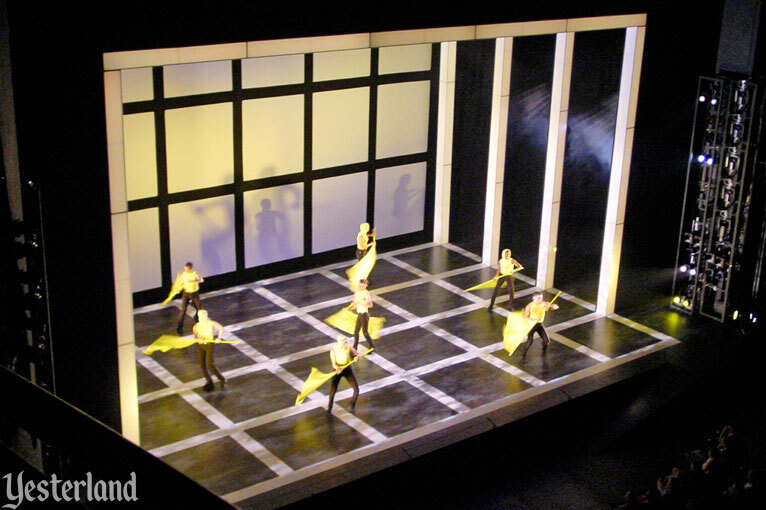 Steps in Time limped along until October 14, 2001. At least the talented cast worked hard, and the theater was air-conditioned. Meanwhile, on the other side of the continent, Epcot audiences were applauding wildly for The Power of Blast! 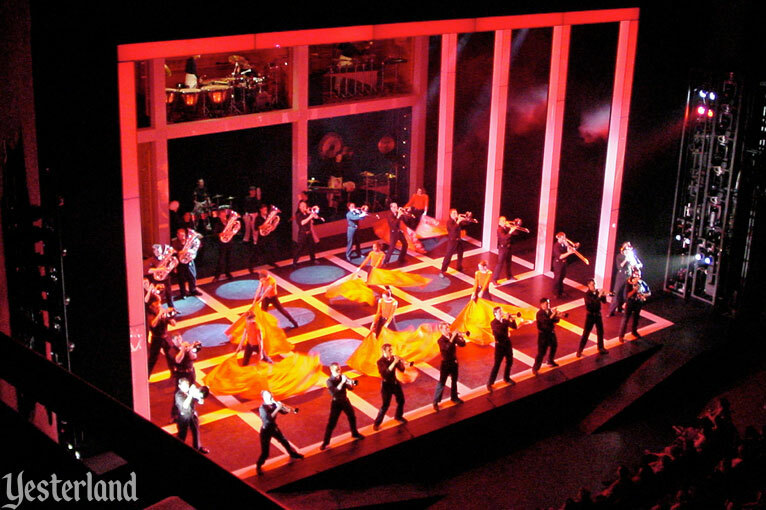 which ran at the outdoor America Gardens Theater from June 16 through August 23, 2001. 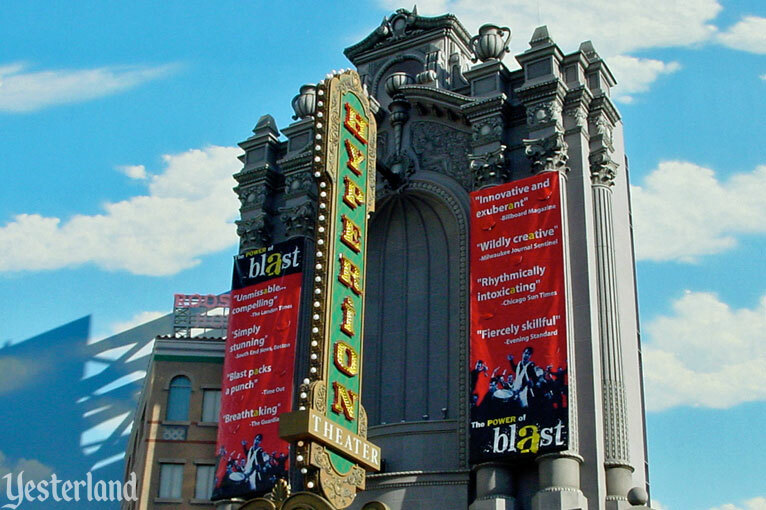 California Adventure desperately needed a new show for the Hyperion Theater. With some tweaking for the indoor theater, The Power of Blast! moved west. Because The Power of Blast! would be in a fully enclosed theater, the dramatic lighting effects and creative staging could be even better than at Epcot. California Adventure audiences applauded wildly. 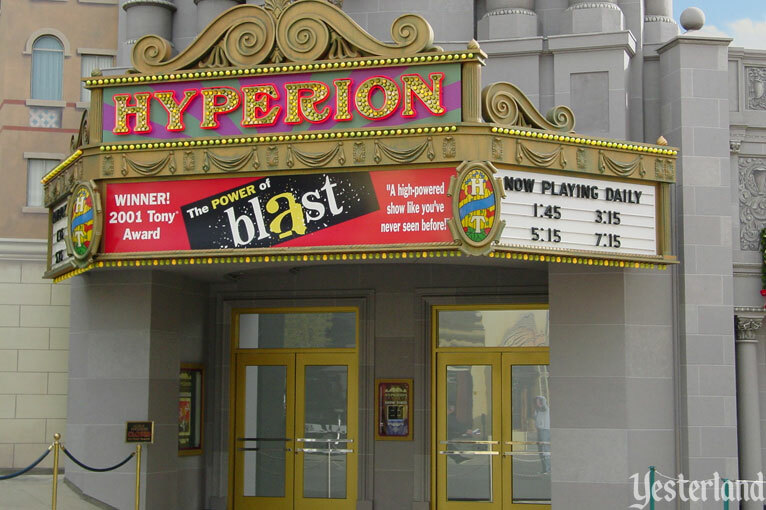 The Hyperion Theater had a hit. Sure, it was a costly show purchased from an outside company. And, at a Disney park that was lacking enough “Disney” as far as many guests were concerned, the show had nothing to do with the creative legacy of Disney or Pixar. But it was a terrific show, and it gave Disneyland Entertainment enough time to develop a new musical that would not suffer the same reaction as Steps in Time. After running more than nine months, The Power of Blast! closed to make room for Disney’s Aladdin: A Musical Spectacular. 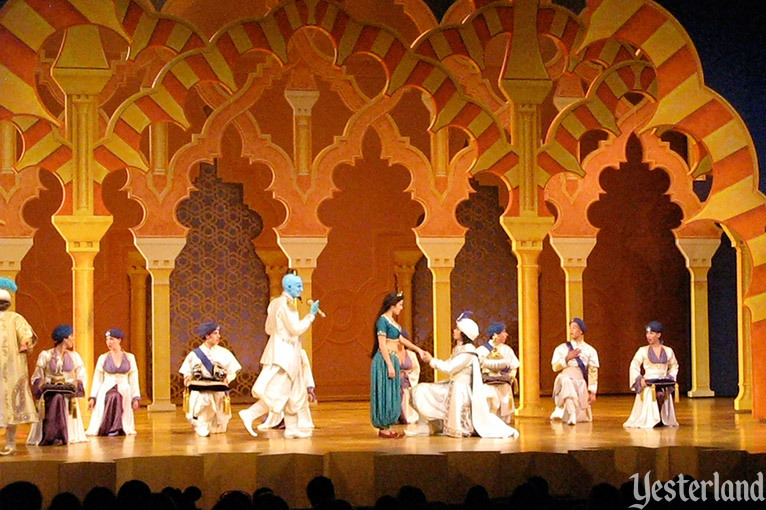 The stage musical based on the successful 1992 Disney animated feature Aladdin opened at the Hyperion Theater on January 16, 2003, and closed January 10, 2016—a run of almost 13 years. 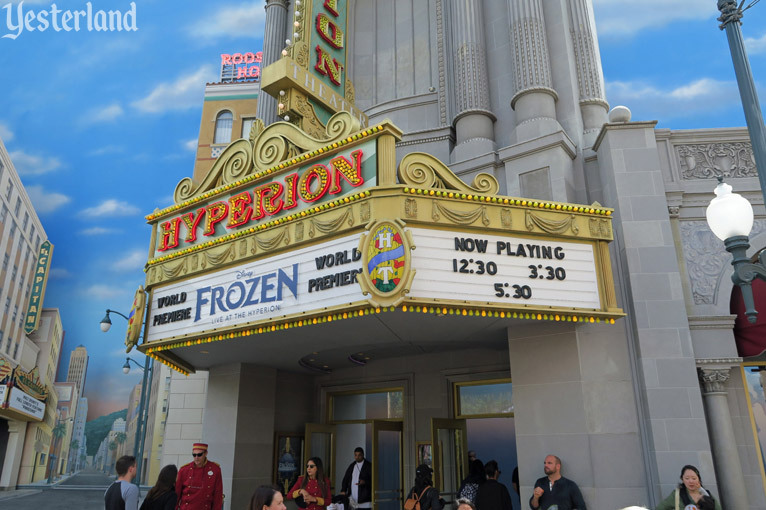 The next show at the Hyperion Theater would be based on Disney’s 2013 megahit Frozen. 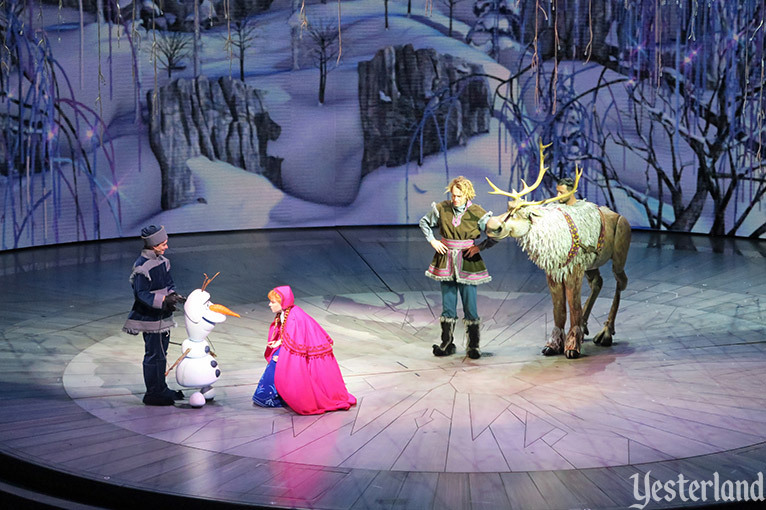 Frozen — Live at the Hyperion opened May 27, 2016, for what is expected to be a very long run. After all, in the world of Disney theme parks, there’s no such thing as too much Frozen.